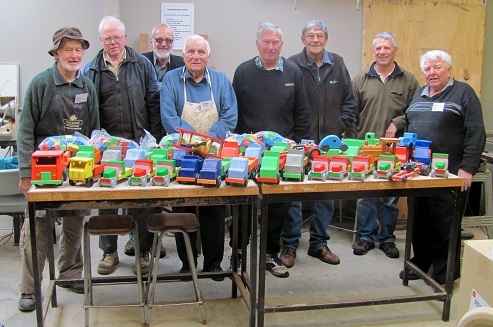 This led to joining the Wainuiomata Shed in a former Intermediate School for a year until we managed to raise enough funding to build the present Shed in Treadwell St on Mildenhall Park with the blessing of the Hutt Council. We were able to return to this permanent home in the middle of 2012. Since then the number of members has grown steadily and more space was required. Again, grants from various bodies and significant contributions from members has meant that an extension could be completed in 2016. Now we have filled all the ground available and to cope with increasing membership, we have needed to open more frequently during the week. We have also started to achieve another of our aims to get younger members so that skills can be passed on and not lost to modern youth.